A copy of Norman Rockwell’s autobiography, My Adventures as an Illustrator (1960), archived in our Rare Book Collection (SC-10), boasts an intriguing inscription: “My best wishes to the art department at Wheaton College, sincerely, Norman Rockwell. My late and beloved wife, Mary Barstow Rockwell, was a native of Wheaton.” At the bottom of the page is another handwritten note, declaring that the book is dedicated to Mary, and directs the reader’s attention to her portrait on page 9, seen here. Mary was the daughter of Alfred E. Barstow of California, and (Dora) Bernice Gary of Wheaton, IL; Dora, who took science courses at Wheaton College, was the niece of the famed U.S. Steel founder and Gary, Indiana namesake, Elbert Gary. Mary, born November 26, 1907, studied education at Stanford University Graduate School. The circumstance under which the book was signed is not known. 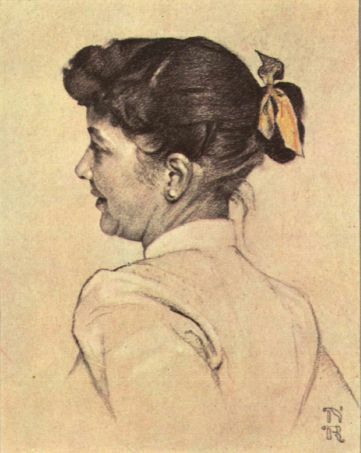 Rockwell divorced his first wife, Irene, in 1930. He was married to Mary from 1930 until her death in 1959, after which he married Molly Punderson in 1961. The famed Saturday Evening Post illustrator died in 1978 at his home in Stockbridge, Massachusetts. Oswald Chambers’ strong faith was accompanied by an abundant imagination that developed into a vibrant creativity. After attending Sharp’s Institute as a child, Oswald received further education from several institutions including the National Art Training School in London (later renamed the Royal College of Art) where he received the Art Master’s Certificate, despite his father’s objections to his art studies. His father, a Baptist minister, did not believe that art could be a platform for ministry. Chambers furthered his art studies at Edinburgh University and saw the arts as a gift of God to make life on earth bearable–they were a necessity, not a luxury. Art is one of those domains wherein humanity can both imitate God’s creativity and find expression for our own. Here are some examples of Oswald’s work, the originals, of which, are located in our collection. 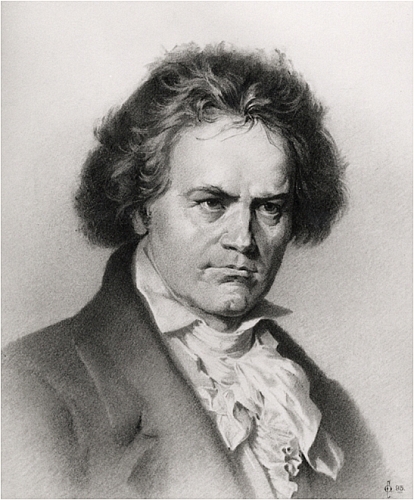 Shown here is a charcoal drawing of Beethoven that is housed in the Chambers collection. Wheaton College has seen its share of political campaigns and candidates. Many have seen Wheaton College and the surrounding area as a bastion of Republican politics and the number of visits of Republicans, in and out of the campaign season, has reinforced this. The local Fourth of July Parade has often been on the itinerary of the presidential candidate. The connection between Wheaton College and presidential politics may hearken back to Jonathan Blanchard’s own involvement in the political process. Blanchard was heavily involved in the emergence of the Liberty Party while in Ohio and remained involved after his move to Illinois. He recognized the value of political structures to influence change. He was later nominated for the U.S. presidency by the anti-Masonic American Party (not to be confused with the “Know-Nothing” American Party of the same era). Blanchard had asked Frederick Douglass to serve as his vice-presidential running-mate. Douglass declined. In the following presidential election in 1964 Republican Margaret Chase Smith, a senator from Maine and a strong opponent of Joseph McCarthy, visited Wheaton College in March. Smith saw herself as a moderate and this caused her problems on both sides of the aisle. She alienated liberals with her support of the Vietnam War, yet troubled conservatives with her signing on with Democratic legislation. Though unsuccessful in her bid to receive the Republican nomination–losing to Barry Goldwater–Smith has the record as the longest-serving female senator in United States history. Goldwater, having secured the Republican nomination, visited Wheaton in early October 1964. During his speech Goldwater called for a “restoration of law” in the United States, but a clash of demonstrations occurred between Johnson and Goldwater supporters portended a shift in political ideologies held among students. Local Christian residents attending the Goldwater rally encountered the Johnson supporters and tempers flared with locals calling some students “communists” and questioning their religious commitment, expecting any “good” Christian to vote for Goldwater and the Republican ticket. Some faculty applauded the courage of students to follow their convictions, despite them going against convention. They lamented the fact that charity and tolerance were lacking in the conflict. As the Vietnam War dragged on, the gap between parties grew and presidential campaigns needed to be different. That difference came in the efforts of George McGovern. 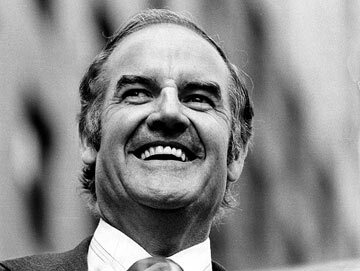 McGovern, the son of a Wesleyan Methodist (Wheaton College’s early denominational benefactor) minister, came to Wheaton College in October 1972 as the Democratic Presidential nominee. McGovern’s speech was less of a political speech than an attempt to help evangelicals understand his theologically-informed political philosophy. This “Gospel According to McGovern” had a mixed reception. 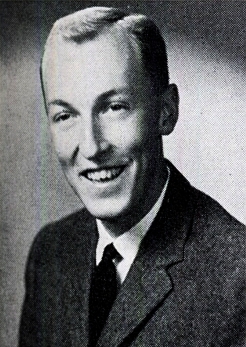 Many younger evangelicals supported McGovern, including Wheaton graduate Tom Skinner. These younger evangelicals liked how McGovern expressed real concern for hunger, war, poverty and ecology. 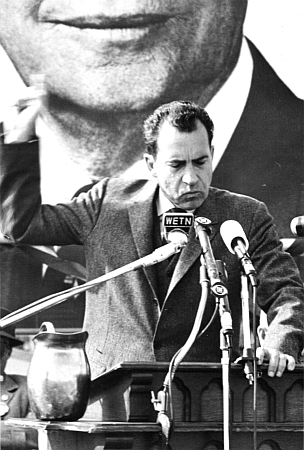 However, older mainstream evangelicals looked to Billy Graham, who lent his support to Nixon. The Wesley Pippert Collection contains a great deal of research material on McGovern’s campaign as Pippert was assigned by United Press International to cover McGovern’s campaign. 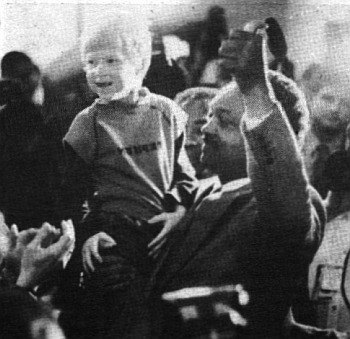 The most significant season of political stops at Wheaton came during the 1980 Presidential campaign. Illinois has, for a long time, been a key battleground state with its large numbers of electoral votes. The 1980 primary season brought many March visitors to the campus. The first visitor was John B. Anderson. Anderson, from Rockford, was the recipient of an honorary doctorate from Wheaton (LL.D. — Doctor of Laws) in 1970. Though honored in 1970 by his visit on March 12, 1980 feelings on campus were not as hospitable. 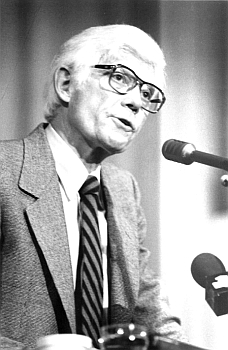 A ten-term member of Congress, Anderson ran as an independent in the 1980 Presidential primaries. As a member of Congress he, on three occasions, sought to amend the U.S. Constitution to recognize the law and authority of Jesus Christ over the United States. This put him in good stead with conservative Christian voters, but during his race for the presidential nomination he supported certain abortion rights. His endorsement of a person’s right to choose, which he believed was God-given, put him at odds with the same conservatives that once heralded his work in Washington. It is amazing to see what difference a decade can make. Bolstering the importance of Illinois in the primaries George H. W. Bush made a stop at Wheaton just days after the visit from John Anderson. Bush was battling uphill to beat Ronald Reagan and was being beat by the religious Anderson. After a poor showing in the New Hampshire primary, the former director of the CIA didn’t draw a large crowd–failing to half-fill the cavernous 2,500-seat Edman Chapel. Bush’s future as a candidate didn’t look good. Bush would later return to Wheaton in 1985, as Vice-President, to deliver that year’s commencement address. Though Reagan didn’t make a visit to Wheaton College during the primary, he did make a stop in Wheaton to campaign at the flea market the day before Bush’s speech. 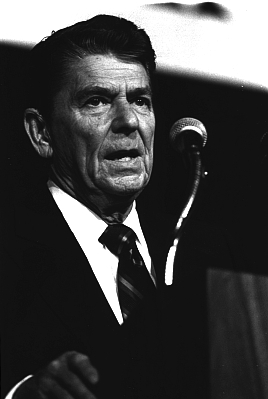 Reagan made his visit to the college after receiving his party’s nomination during the fall campaign season. The Governor’s whistle-stop visit came October 8th and was accompanied by numerous religious references within the first few sentences of his speech. He spoke of deliverance, rebirth and C.S. Lewis–words that were well-chosen and that resonated with the audience. Reagan would handily beat Southern Baptist Jimmy Carter with Carter only carrying six states with a total of 49 electoral votes, one-tenth the number for Reagan. Carter had been invited to speak at Wheaton in 1981 but declined fearing a hostile crowd (likely considering Anderson’s treatment). Nearly as brief as his candidacy was Mitt Romney’s potential visit to Wheaton. Early in the 2008 Republican primary Romney had wanted to hold a rally on the campus the Sunday before Super Tuesday, but was unable to secure permission to campus facilities. Twenty years has passed since the last presidential candidate has visited Wheaton. Despite the regular note of commentators of the influence of evangelical voters in contemporary American politics and a broad-brush portrayal that indicates evangelical vote lockstep Republican, the history of political engagement at Wheaton College reveals that a finer brush stroke may be needed to accurately portray history. Wheaton has been willing to engage a wide range of political perspectives but also seeks to wrestle with the intersection of those perspectives and the perspectives of Scripture. Two years after Joseph Smith, the Mormon seer and revelator, was murdered by a mob in Nauvoo, Illinois, another failed utopia took root 100 miles north in Henry County–this one founded by Erik Jansson, the Swedish pietistic prophet with hypnotic eyes who, claiming “sinless perfection,” publicly burned the works of Martin Luther. Fleeing Europe three hundred years after Luther’s death in 1846 with 1200 followers, he embarked on a perilous migration to the United States. From New York the Janssonists sailed via the Great Lakes to Chicago, then rode wagons 180 miles west across rolling grasslands before halting on a fertile patch not far from the Mississippi. Here they settled the village of Bishop Hill, farming and constructing brick buildings in the same style as those of their homeland. In fact, the church, harness shop, hotel and other structures yet stand. A quick terminus arrived in 1850 when Jansson was shot and killed by John Root, who had married the prophet’s cousin with intent to move away with her, but had been prevented by the commune. Janssonist activities generated such disturbance that Jonathan Blanchard, then-president of Knox College in nearby Galesburg, asked Milton Badger, secretary for the American Home Missionary Society, in an 1848 letter if any ministry could be extended to “these Swedes,” in addition to recommending that a Swedish Lutheran pastor work with “refugees” from the Janssonists. The village struggled after the death of its founder, and was dissolved in 1861. 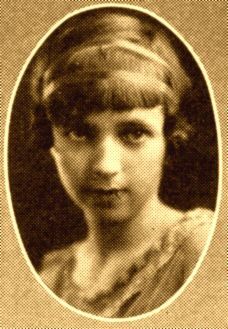 Upon graduating from Wheaton College in 1923, Muriel Fuller studied journalism at various universities before embarking on a celebrated career as editor, writer, and reviewer. A keen litterateur, she was employed with Rand McNally, Thomas Nelson and the Greystone Press. At Wheaton her roommate was Margaret Landon, author of Anna and the King. In fact, it was Fuller who encouraged Landon to write it. Fuller possessed a rare gift for not only placing her finger on exactly what was wrong with a manuscript, but also offering pointedly useful suggestions toward correcting the problem. Fifteen published books are dedicated to her, with further evidence of her high regard seen in a short 1950 typewritten reply from Ray Bradbury, archived in the Fuller Family Papers (SC-87). As a professional reader for both Redbook Magazine and the O. Henry Memorial Award, she evidently tendered a few friendly remarks, including advice about assembling his stories into an anthology. Bradbury responded with gratitude and availed himself to chat as opportunity allowed. Recently the 88-year-old Los Angeles-based author of Fahrenheit 451 and The Martian Chronicles was alerted to the fact that Wheaton College’s Special Collections has the letter. “I want it!” he said. The staff sent a copy to Bradbury. When it was read to him, he exclaimed, “That’s wonderful!” before tucking it into his voluminous files. The final debate between John McCain and Barak Obama in the 2008 Presidential race referenced real-life “Joe the Plumber” who struggled on where to place his vote and whether the candidate’s proposed economic plans would negatively impact him and his business. Thirty-five years ago there was talk in America about a few other “plumbers.” These plumbers didn’t carry monkey-wrenches or copper pipes but did release upon this country a flood suspicion, disappointment and cynicism that plagues politics to this day. David R. Young, Jr., born in 1936 in Jersey City, New Jersey, received a bachelors of science degree in physics from Wheaton College, Illinois in 1959, where he played soccer, sang in Men’s Glee and was a member of the physics Honors Society, Sigma Pi Sigma. He then went on to receive a law degree from Cornell University. Later, he he was employed in the law offices of Millbank, Tweed, Hadley and McCloy, New York. It was from here that he was appointed a special assistant at the National Security Council in the Nixon Administration and an administrative assistant to Henry Kissinger. In 1971, Young was assigned to the Domestic Council, where he worked with one of John D. Ehrlichman’s deputies. Young’s task was to investigate information leaks within the Nixon administration. Young and his boss, Egil Krogh, founded the White House Special Investigations Unit that eventually was known as “The Plumbers.” The moniker came about because plumbers “stop leaks.” Legend has it that Young chose this name because his grandfather was a plumber. Other members of the Plumbers “union” were Howard Hunt and G. Gordon Liddy. The Plumbers, who were obviously not plumbers, and it would appear not good burglars either, are most known for the attempted burglary of a psychatrist’s office in 1971 and the attempted 1972 burglary of the Democratic National Committee offices at the Watergate complex. The revelations of the break-ins and subsequent cover-up brought forth a Congressional investigation that resulted in Young’s resignation from government service. He was granted limited immunity and spared jail-time. A few years after this Young moved to Oxford, England and completed a doctorate. He went on to found and lead Oxford Analytica, an international consulting firm that draws upon the expertise of Oxford faculty. He has, since 1975, served as Lecturer in Politics at Queen’s College, Oxford. He has also been Senior Associate Member of St. Antony’s College, a Dominus Fellow of St. Catherine’s College, and Senior Common Room Member of University College. He has served as an Associate Member of the Royal Institute of International Affairs and the International Institute of Strategic Studies since 1980. The National Archives and the Nixon Library both house archival materials related to Young, “The Plumbers,” the Watergate scandal, and related legal actions. The Wes Pippert Papers (SC-56) also contain resources related to the Watergate scandal. Pippert was the principal United Press International (UPI) reporter on Watergate from 1973 to 1975. Surprising Work of God published. There is a resurgence of interest in how evangelicalism–today’s version–began. What are its roots? How did it emerge and grow? Several individuals played key roles in the growth of this “new” evangelicalism. 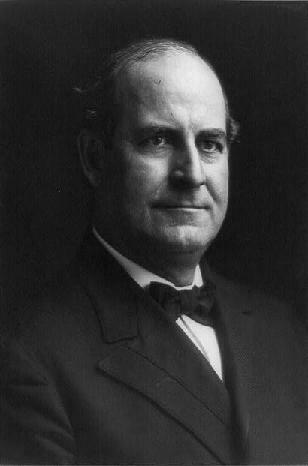 One of the central leaders was Boston’s Harold John Ockenga, pastor of the historic Park Street Congregational Church. Ockenga also helped found Fuller Theological Seminary, Gordon-Conwell Theological Seminary, the National Association of Evangelicals, and Christianity Today. Garth Rosell’s The Surprising Work of God: Harold John Ockenga, Billy Graham and the rebirth of Evangelicalism examines the birth and development of modern American evangelicalism–its history, personalities, and institutions. The history of that time is seen through the window of the life, ministry, and writings of Ockenga and his long friendship with Billy Graham. This book will be of value to anyone with an interest in the American Christianity of the last century. Rosell utilized the records of the National Association of Evangelicals (SC-113) for this publication. How I met Muriel on the Internet. Relationships emerge in the strangest of places. Decades ago computer dating came upon the scene as a solution for many as a way to meet people. Today, folks spend hours in chat rooms hectically typing away as fast as their little fingers can with bursts of LMK, BTW, and IMO. A secret code of friendship goes on and on with the chiclets of keystrokes. I didn’t meet Muriel in a chat room as increasingly more and more individuals have met their spouses in this Internet age. I met Muriel on Ebay. Ebay is that vast auction house that has no address other than www.ebay.com. Here thousands upon thousands of new, used, and abused items go on the auction block each day. Eager buyers bid on items ranging from a Donny Osmond Signed Shirt from the Rosie Show to a rare Johnson & Johnson Dental Floss Tin. I met Muriel amidst this wonder. Not too long ago I made my usual trip to Ebay and typed in “wheaton college.” To my surprise I saw a listing with the title “Antique Letters (3) and Envelope-Genealogy.” This was my introduction to M. Muriel Ramsay ’26. I quickly placed a bid for the current asking price of $4.00. Admittedly I was bidding against someone who may have had a tie to the letters or to Wheaton, but I quickly rationalized that if the college owned the letters they would become available to others in the college’s archives. I waited with anticipation for the auction to close. You see I had missed out on a large cache of diaries and letters, over 1,000, from two students in the 40s because I hadn’t acted quickly enough. Well, the auction closed and with the addition of a few dollars for postage the letters were on their way from an “Ebayer” in Sioux Falls, SD. Let it be known that I was not previously introduced to Muriel. I didn’t know her from Adam, or should that be Eve. At the bidding I simply knew that these were three letters written by a Wheaton student in the 1920s to “Vi” and “Jo” in Milwaukee (actually Misses Violet and Johanna Krejci). When they arrived it was clear that my work had just begun. Who was Muriel? 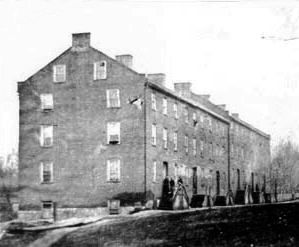 At first reading of the letters with reference to Williston Hall I surmised that it could be Muriel Fuller, ’23, classmate and friend of Margaret Landon. However, as I dug into the other letters they were dated in 1924,too late for Muriel Fuller. Now the chase was on! Using handy resources created by past archivists Thad Voss and Mary Dorsett I searched a listing of students from past college catalogs. This resulted in three possible Muriels. One was Muriel Fuller and the others were Muriel Curtis and M. Muriel Ramsay. Muriel Curtis had also enrolled in the Conservatory, as well as the College. Usually at that time Conservatory students lived locally, though not always. I then looked in the 1922 catalog to see where Muriel Ramsay was from since the older catalogs listed each student’s hometown. Muriel Ramsay was from Milwaukee, Wisconsin. Muriel had a home. I quickly scanned the 1923 Tower to find a photograph or references to her. Muriel was Corresponding Secretary for the Aeliolian Literary Society her first semester at Wheaton and was Assistant Librarian for the Women’s Glee. Muriel had a face and a life. I found a friend on the Internet. From her letters she told of a life of fun, football, missionary zeal, and the love of friends. I’ve not met her personally or talked with her on the phone, but with our shared hope I’m sure we’ll meet someday. 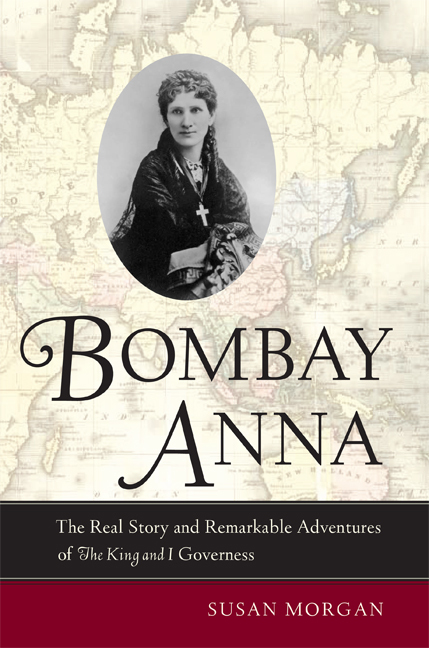 Bombay Anna, written by Susan Morgan, is another retelling of the life of Anna Leonowens. Morgan conducted in-depth research in the Kenneth and Margaret Landon papers seeking to reveal the history of this enigmatic figure. Anna’s origins have been less clear in years past and Morgan seeks through this volume to bring clarity to the situation. This was especially difficult because Leonowens was not truthful about her humble beginnings. Despite her revelations to the contrary, Leonowens was born on November 26, 1831 Anna Harriett Emma Edwards in India to a British soldier and his young wife. Leonowens grew up in Army barracks amidst a diversity of ethnicities and cultures. It was a rather bleak beginning. Leonowens herself married young and continued the military connection until she found herself widowed with two small children. Leaving India Leonowens charted a new course for her life embellishing her pedigree and credentials to become the governess to the children of King Mongkut (Rama IV). It was this Anna that previous biographies have presented–an upper-class British woman who faced tragic loss before becoming a beloved governess in Siam. It is this Anna immortalized in the adaptation of Landon’s Anna and the King of Siam (1944) and later as Rodgers and Hammerstein’s 1951 musical The King and I.
Landon was hampered by wartime restrictions and limited access to Asian archives. Landon enjoyed great success from her book and its adaptation, which must have left her with feelings of ambivelance since she disliked Rodgers and Hammerstein’s final product. Morgan reveals more about Leonowens, in part because more primary sources have become available. Leonowens left Siam (modern-day Thailand) after five years and made her way to America where, Morgan says, another phase of embellishment began. She published The English Governess at the Siamese Court (1870) and The Romance of the Harem (1873) to the interest of many who wanted to learn of the exotic East. 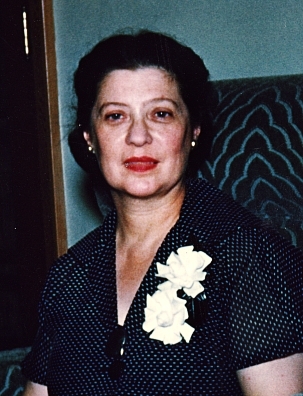 Leonowens later left New York for Canada, settling in Montreal and Halifax to spend time with her daughter and grandchildren.